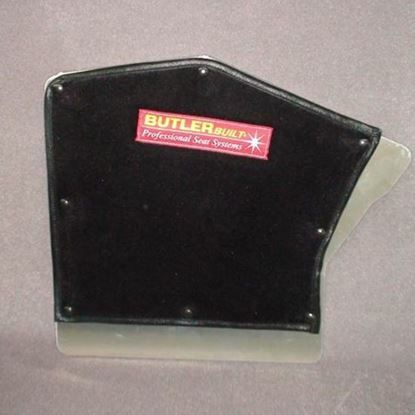 Knee protector pads by ButlerBuilt | Offset knee protector pad with cover. 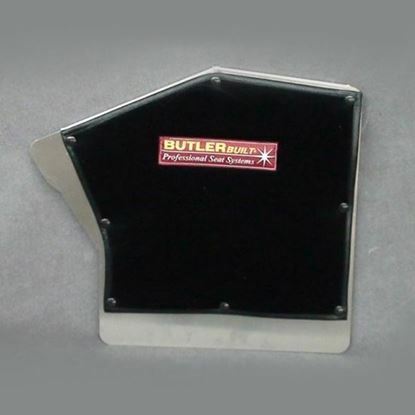 Right side leg support for asphalt late model with Swiss holes and black cloth or black, gray or red Velour cover. Dimensions: 19.5" length (longest point); 17" height (tallest point). Left-side leg support for asphalt late model with Swiss holes and black cloth or black, gray or red Velour cover. 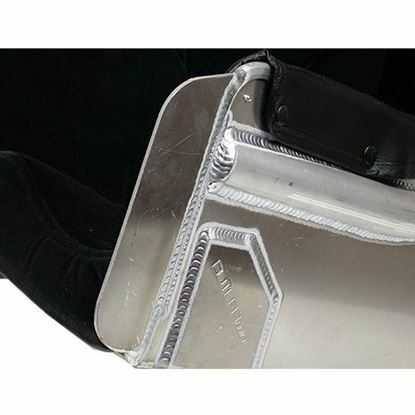 Weld-on tabs allows easy mounting of bolt-on leg supports.